Welcome to the Mankato Obituaries page. Below you will find Obituaries from Mankato, St. Peter, New Ulm, Waseca, Owatonna, Blue Earth County and Nicollet County. Katoinfo gathers this information from: Woodland Hills, Mankato Mortuary, Landkamer-Johnson-Boman Funeral Home, Le Center Funeral Home, Schoenbauer Funeral Home, Kohl & McRaith Funeral Homes, and Dennis Funeral Homes as well as public death notices. Memorial services for Ruth E. Milow, 92, of Truman, MN, will be 11:00 a.m. Saturday, February 23, 2019, at Lakeview Funeral Home in Fairmont, MN. Burial will be in Fairview Memorial Park Cemetery in Fairmont. Visitation will be prior to the time of service from 9:30 a.m. to 11:00 a.m. at Lakeview Funeral Home. 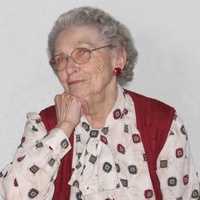 Ruth passed away Saturday, February 9, 2019 at Oak Terrace Assisted Living in North Mankato, MN. The Lakeview Funeral Home and Cremation Service of Fairmont is assisting the family with arrangements.